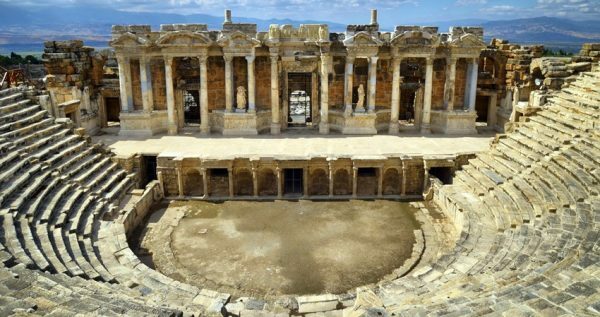 Turunc Ephesus Pamukkale Tour is an escape from your holiday routine, join this road trip for 2 days and explore the 2 very highlights of Turkey. 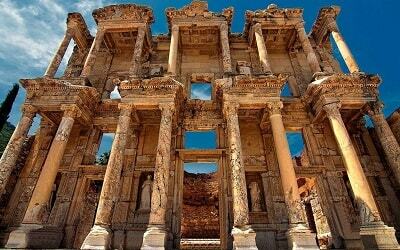 On the first day we will visit Ephesus (one of the biggest ancient city in Turkey). 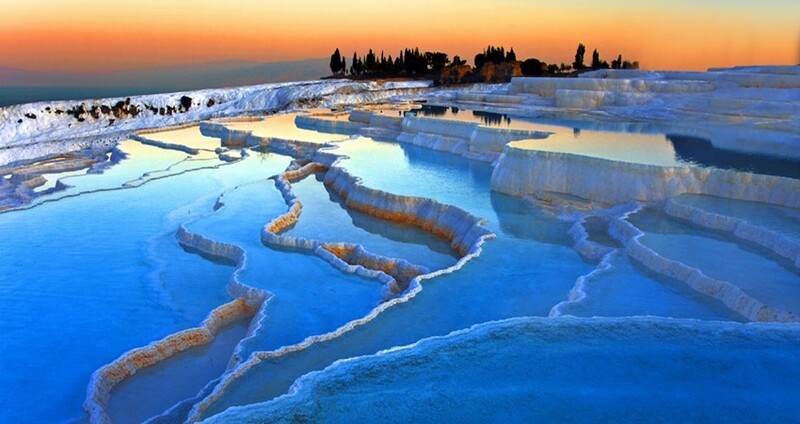 On the second day we will be in Pamukkale, a unique place with its white travertines. 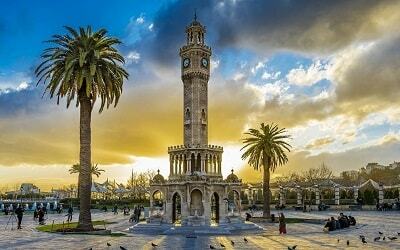 Take a two day road trip through Turkey’s most glorious and famous historical and natural sites. Our 2 days tour starts with a pickup service from your hotel in Turunc and drive to Ephesus. 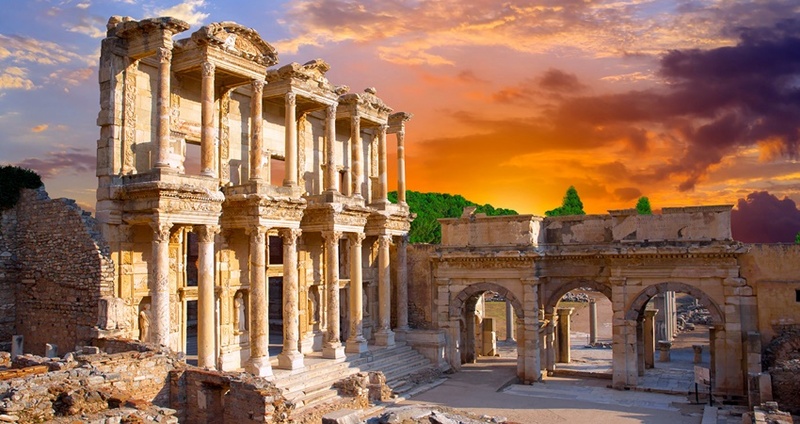 On the way we will stop for a tasty open buffet breakfast at a local restaurant in Mugla, after which we will continue our drive to the magnificent ancient city of Ephesus. During the ride, our professional guide will inform you about the program of our upcoming visits. At the end of our drive we will arrive to charming little town of Selcuk, where we have the remains of the ancient city of Ephesus and other famous sites that we will visit. 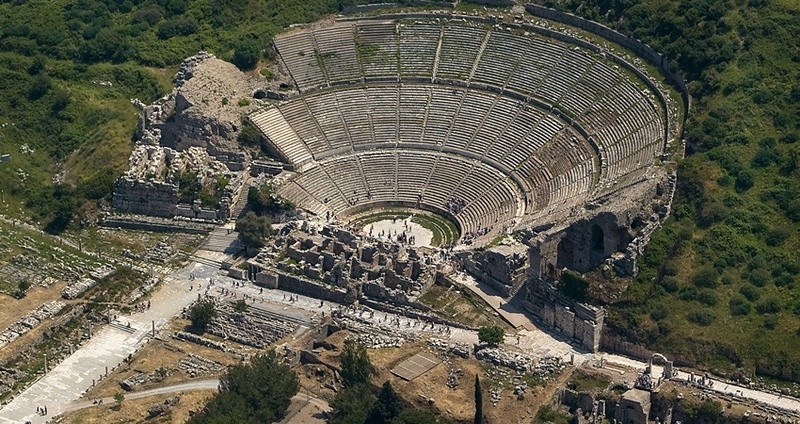 Our walking tour through this outstanding ancient city takes around 2 hours. 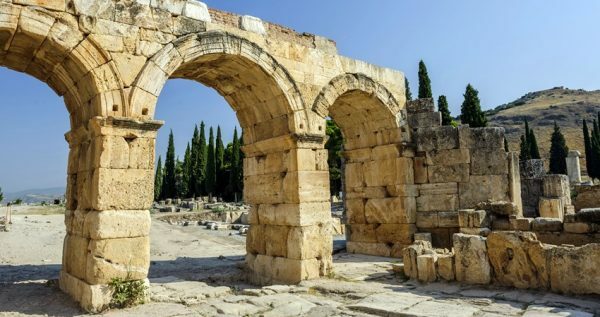 In this walking tour you will be able to see some of the impressive architectural achievements of the ancient world such as the Library of Celsius, the Grand amphitheater, the Gate of Augustus and more. After visiting the ancient city of Ephesus we will have a will have a lunch breakin Selcuk. Our tour in town Selcuk continues with a visit to the remains of the Artemis Temple, which was built to honor one of the highest Greek deities, Artemis. Artemis was the goddess of the hunt, chastity, virginity, the moon, and the natural environment. Once this marvelous temple was considered one of the seven wonders of the ancient world. We will also visit the House of Virgin Mary which is believed to be the last residence of the Blessed Virgin Mary, and which is one of the most important pilgrimage sites of Christianity. After visiting all these famous sites in Selcuk we will drive to Pamukkale. We will arrive to our charming local hotel, where we will have some free time to unwind and take a rest. In the morning you will have the open buffet breakfast at the hotel, after which we will take a five minute drive to the city of Pamukkale. 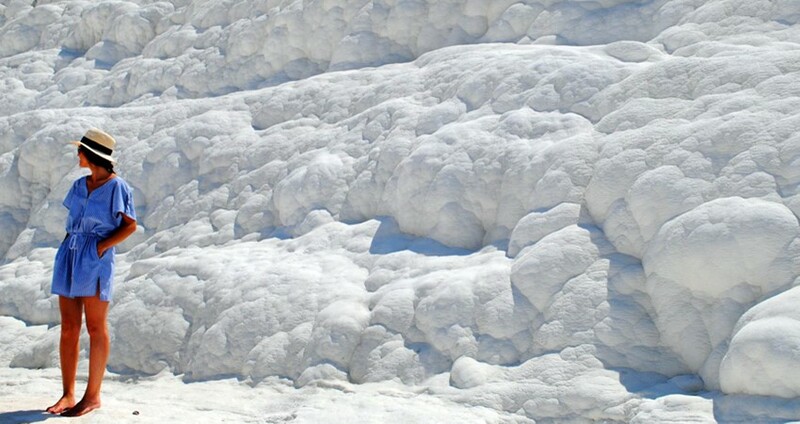 The famous Cotton Castle is a unique phenomenon, with its gorgeous white travertines, captivating calcified waterfalls and beautiful thermal springs. You will get to take a dip in the wonderful 36 degree celcius water in the beautiful Antique pool, and to swim in an ancient Cleopatra’s pool. 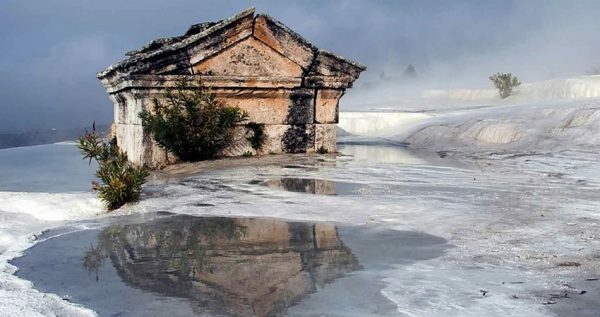 Once you’ve had enough swimming, you can take a stroll through the captivating ruins of Hierapolis ancient city, and get to know the secrets of the old world as you explore the necropolis, bathhouses, the amphitheatre, the tomb of St. Philip and more. Once our fascinating four-hour tour through Pamukkale is over, we will have a lunch break and head back to Turunc. 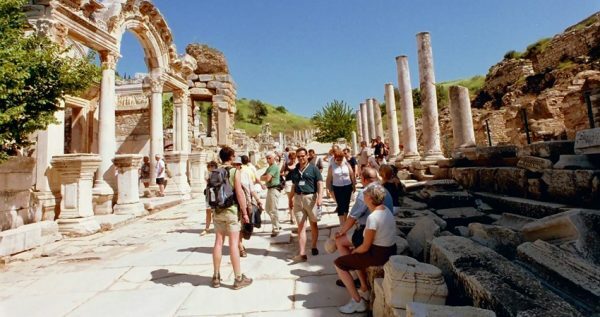 Reserve your own spot on Turunc Ephesus Pamukkale Tour and don’t miss the unique opportunity to explore Turkey’s best traits, while having fun. 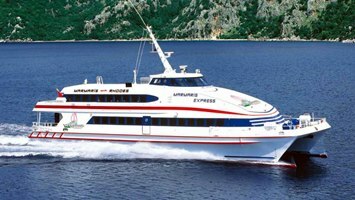 After we leave Turunc early in the morning, we will stop at Mugla for an open buffet breakfast. Within Turunc Ephesus Pamukkale Tour, breakfast is already included in the price. 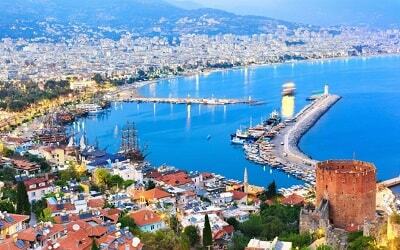 Our next stop will be in the beautiful town of Selcuk. We will be there for 30 minutes, so you will be able to use toilets and freshen up before we move on. Our visit to Ephesus will last for two hours. 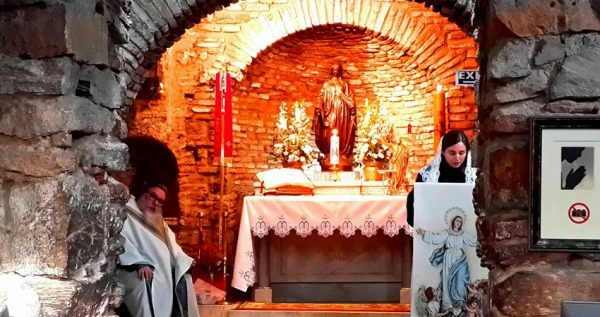 During that time, you will get to take a stroll through some well-preserved ancient ruins, as our English-speaking guides tell you about the ancient culture, history, architecture and mythology. This part of the tour is a great chance to take some captivating camera-shots as well. 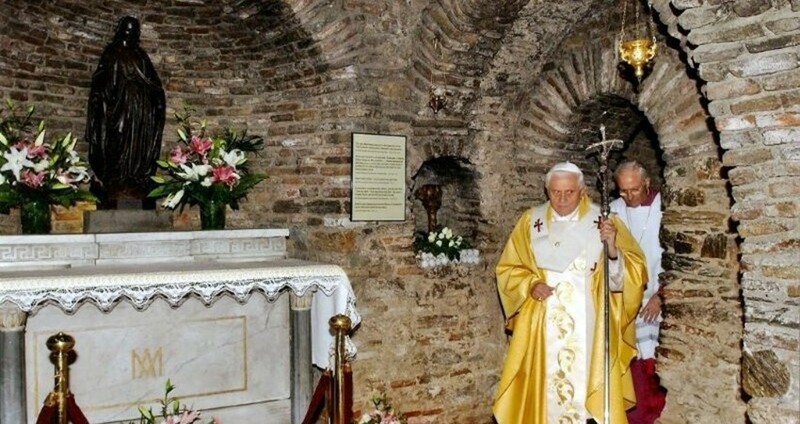 After the visit to Ephesus, we will have a delectable lunch in a local restaurant. This delicious open buffet lunch, is followed by some Turkish sweets and some fresh fruits. You will get an hour of free time in the charming town of Selcuk, so you can roam around or just sit and relax in a local cafeteria. 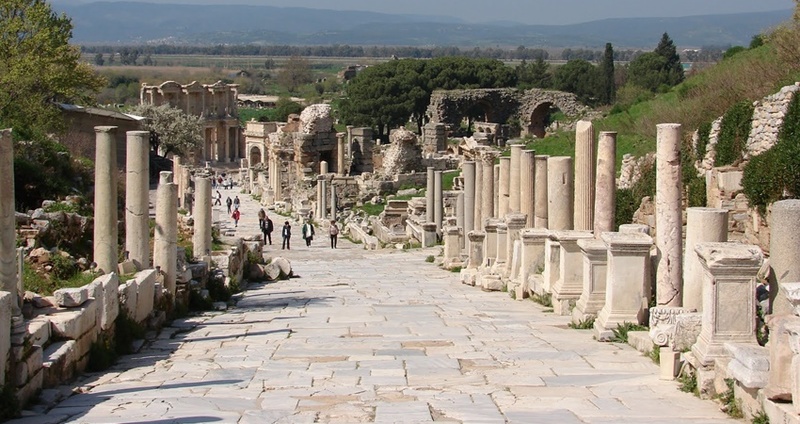 You can also use this free time to visit some captivating historical sites such as The Temple of Artemis or The House of Virgin Mary. 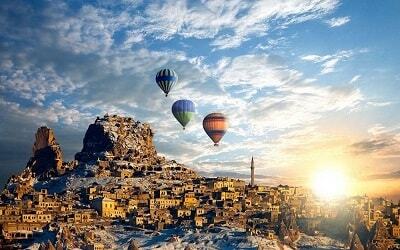 After our visit to Selcuk, we will get settled in our hotel in Pamukkale. You will be able to rest and unwind. We should note that every room has air-conditioning and TV in it. Hotel pool and a hot jacuzzi are also at your disposal. In the morning we will have an open buffet breakfast at the hotel, and then we will head out to visit the white cliffs of Pamukkale. 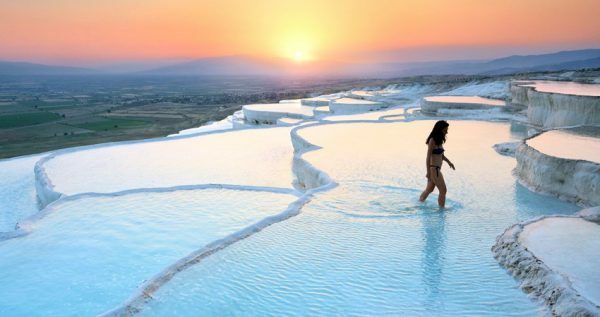 Our tour guides will give you all of the important information about the sites in Pamukkale, so you can choose which of them you want to visit. Sites include the white travertines, Hierapolis, necropolis, Cleopatra’s Pool and much more. After this amazing visit, we will board our cozy bus and head back. 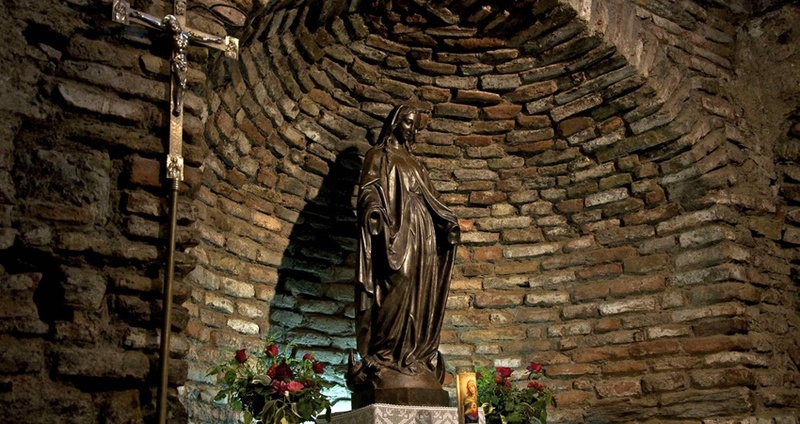 We will also visit a local stone masonry, a little factory, well-known for its large onyx stones. During the half an hour spent here, you will get to see how these beautiful stones get turned into jewelry. Lunch will be served in a modern local restaurant in Pamukkale, and it is included in the tour price as well. Turunc Ephesus Pamukkale Tour is over at approximately 18.30. 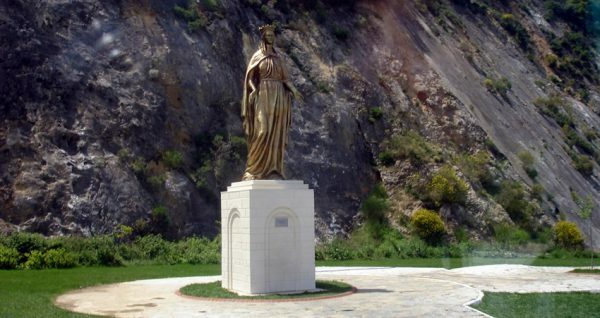 Once we arrive, our driver will take you to the bus station, so you can catch the next dolmus back to Turunc.